The repositories for older releases that are not supported (like 11.04, 11.10 and 13.04) get moved to an archive server. 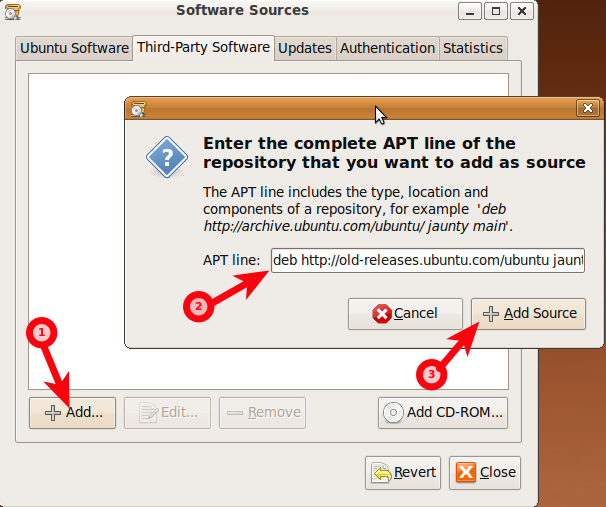 There are repositories available at http://old-releases.ubuntu.com. Source: Can I keep using Ubuntu 9.04 if it's outdated? See also EOLUpgrades - Community Help Wiki. EOL: Once the support period for a particular release is over; they are called End Of Life (EOL) and all the updates and package repositories for that Release are transferred to a different server which results in 404 errors while running sudo apt-get update. You can confirm if your release has become EOL by going to this page. If your Ubuntu release is mentioned under "End Of Life (EOL)" Table, then the release is no longer supported and you should try to upgrade to a newer supported release. However, if you wish to continue using this unsupported release, you would have to make necessary modifications in /etc/apt/sources.list to point to the old-releases server of Ubuntu. If you have Unity: press Super (the key between Left Ctrl and Left Alt) and query for Terminal. where, <siteurl> is your preferred server - http://gb.archive.ubuntu.com/ubuntu in your case (for example). Press Ctrl + H to replace your <siteurl> with http://old-releases.ubuntu.com/ubuntu. There you go. No 404 Errors this time. 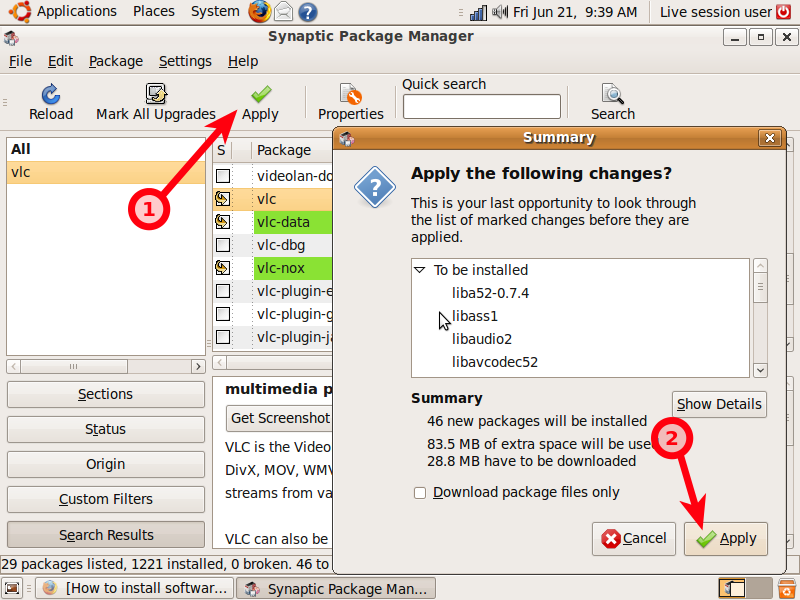 You can now install all the available packages for your Ubuntu Release. You can also run sudo apt-get dist-upgrade to install any Security/Bug-fix updates which have not yet been installed but you won't get any further Security/Bug-fix updates from Ubuntu. And now you are free to download almost whatever you want. 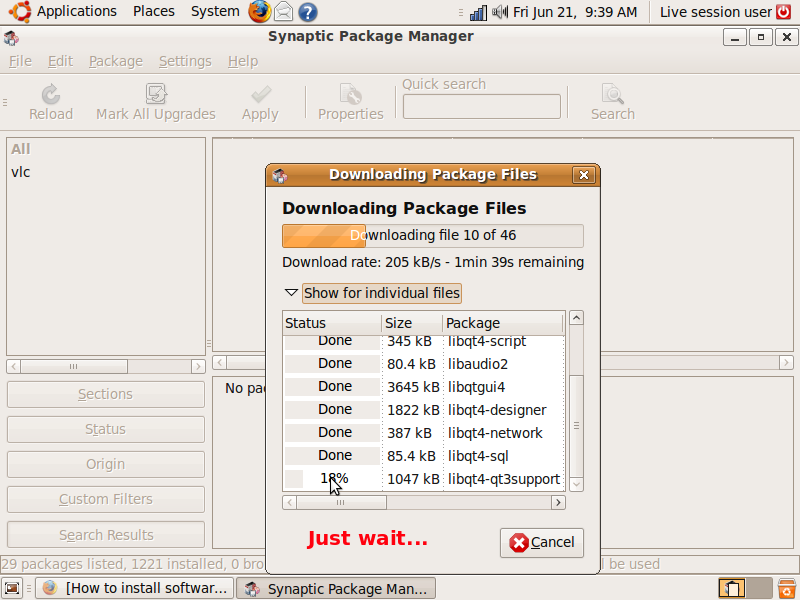 For 9.04 you can use Synaptic Package Manager. 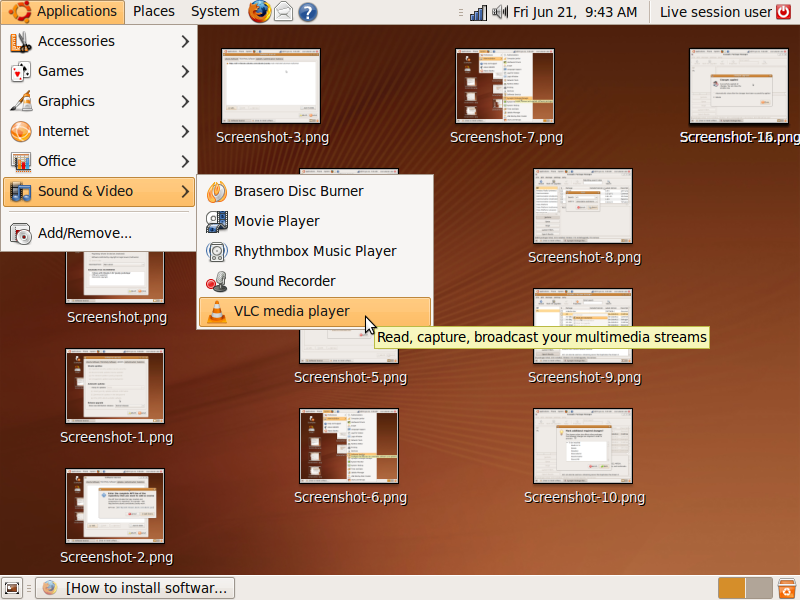 For newest releases there is Ubuntu Software Center. I tested this method from a live session of Ubuntu 9.04 (Jaunty Jackalope) and as you can see from these pictures it worked. 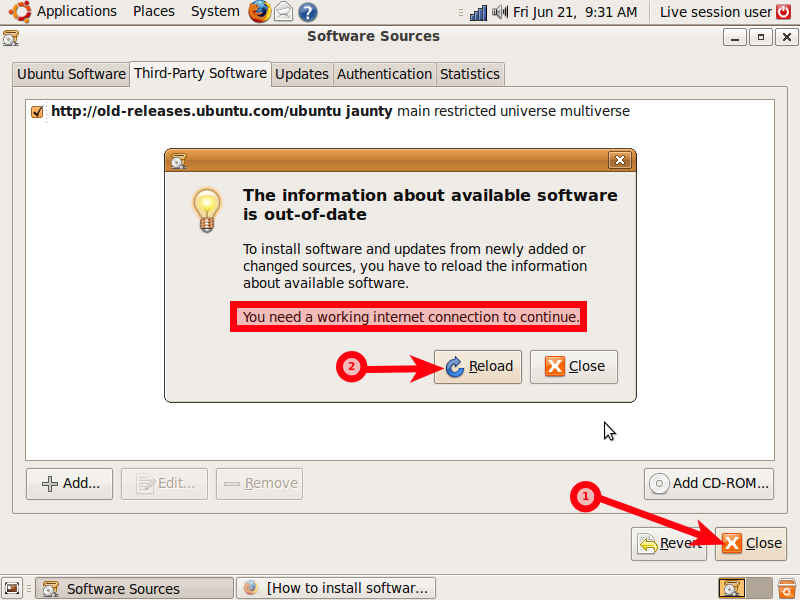 If you are on an installed session of Ubuntu you will be asked sometimes for root or admin password. Just insert your personal user password when you are asked. To get apt-get working again, change your software sources to the old release repositories. And I had no success in running update-manager; it kept throwing exceptions which I could not resolve. I suspect something is corrupted in my 15.10 installation, but the bottom line is that the built-in upgrades just fail. So I looked for a non-built-in method, and sure enough I found it looking at this answer. Locate the release you want to upgrade to. In my case it is Xenial Xerus (16.04 Long Term Support). Locate the UpgradeTool URL. For xenial it is this one. Download the tarball from that URL into an empty folder and and open it (tar -xzf or using the GUI). After the reboot the new version is running successfully, and all updates can be fetched normally. While fossfreedom's answer does a good job of describing and solving the problem, I've found a variant solution that I think is easier and a little more elegant. The trick is to add http://old-releases.ubuntu.com/ubuntu/ as a mirror, and then tell Software Sources to switch to that mirror. 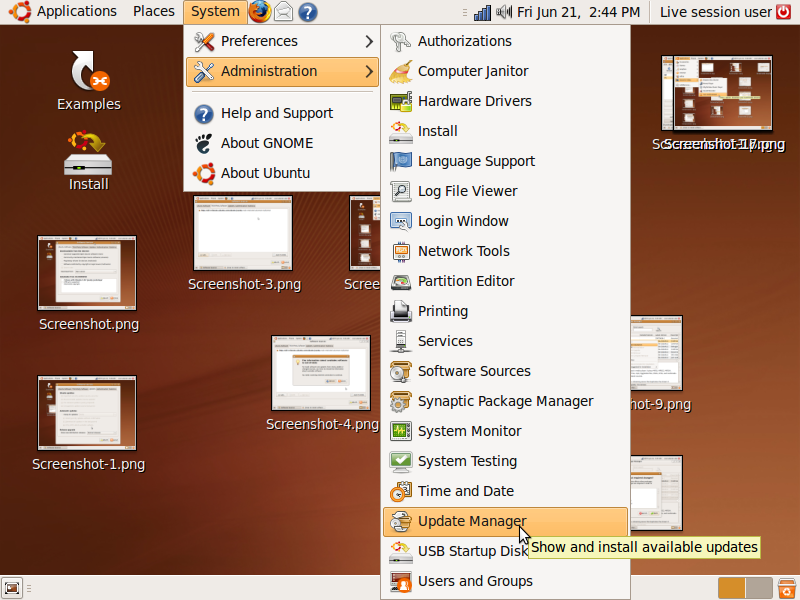 Now open the system's Software Sources dialog, and manually select old-releases.ubuntu.com as though it were your regional mirror. You should find it listed under the fake location you chose in the previous step. 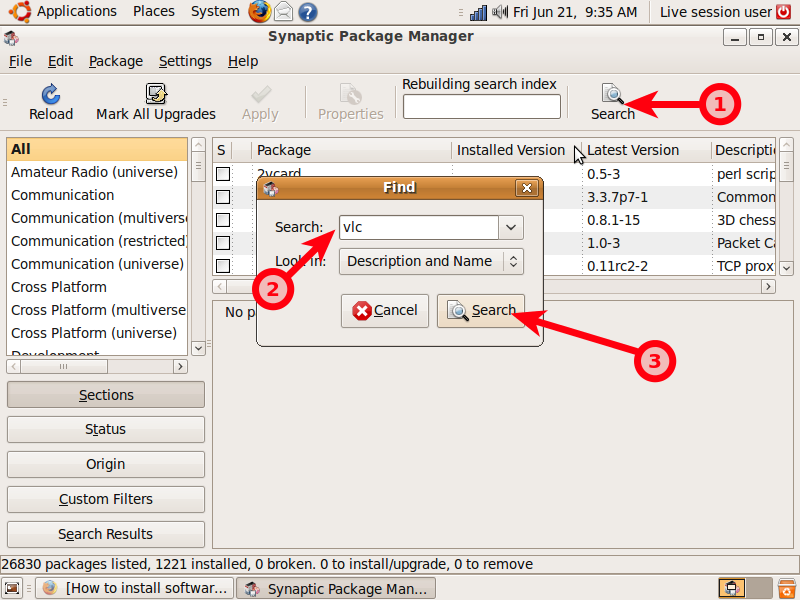 The next time you reload your package information via Synaptic or Update Manager, you should see it successfully retrieving updated package information. It appears the Karmic repositories are no longer available. 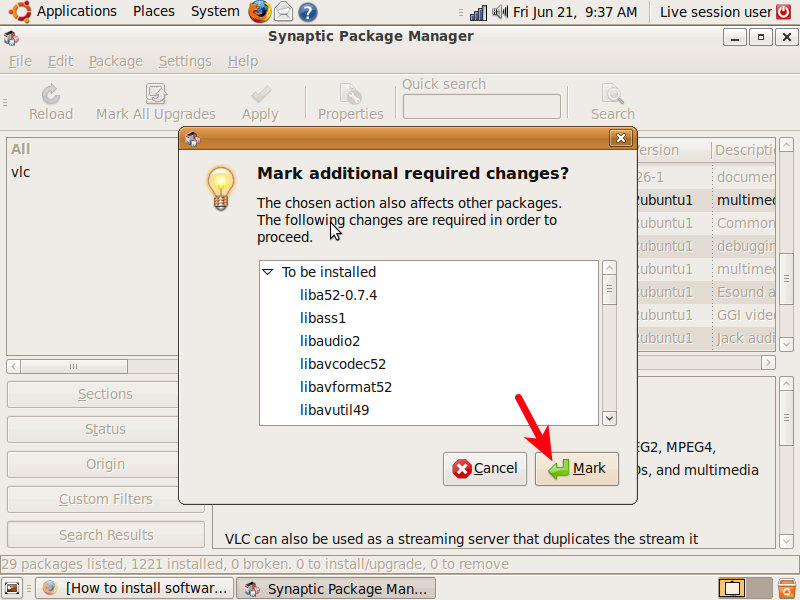 Since they are for a previous version of Ubuntu, you might consider removing them from your sources list. Take a look at this help page for step-by-step. There is an edge case - apt-get claims 16.04 LTS does not exist - where the old package (Vivid, in my case) was not in on the "old-releases" server. But apt-get could only find kernel and Google updates. I am not sure exactly what my problem was because I had blindly followed the accepted answers sed command (never a smart move). This did not work because Vivid was not in the "old-releases" archive but was still on the gb.archive.ubuntu.com mirror. Carefully go through all the sources and discover one of them was old and wrong and had failed to be properly updated (or something). Or, as I did, search replace from old-releases.ubuntu.com to gb.archive.ubuntu.com. It then upgraded, without a problem, to the next release while I caught up on some reading. The gb.archive.unbuntu.com mirror has an older set of releases. The takeaway here is that while the majority of answers here may apply in some cases it would pay to be sure that your /etc/apt/sources.list is correct before you nuke it for the "old-releases" archive. You can figure out which of the archive or your mirror has the version you need by simply pointing a browser tab at the archive and question and looking for your version name in the folder list. Whichever one has your version, is the source you need to use. 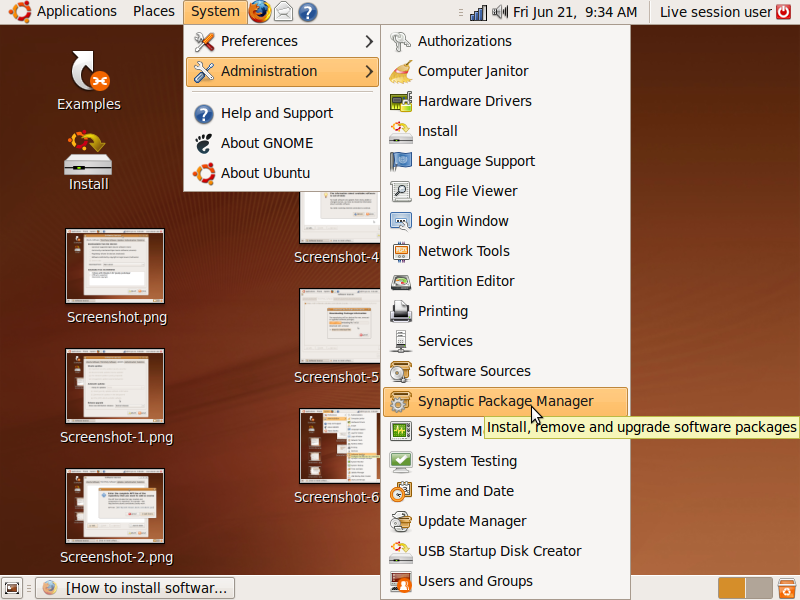 Can I keep using Ubuntu 9.04 if it's outdated? What to do when can't update anymore with apt-get? How can I return from a new release to an older-release? 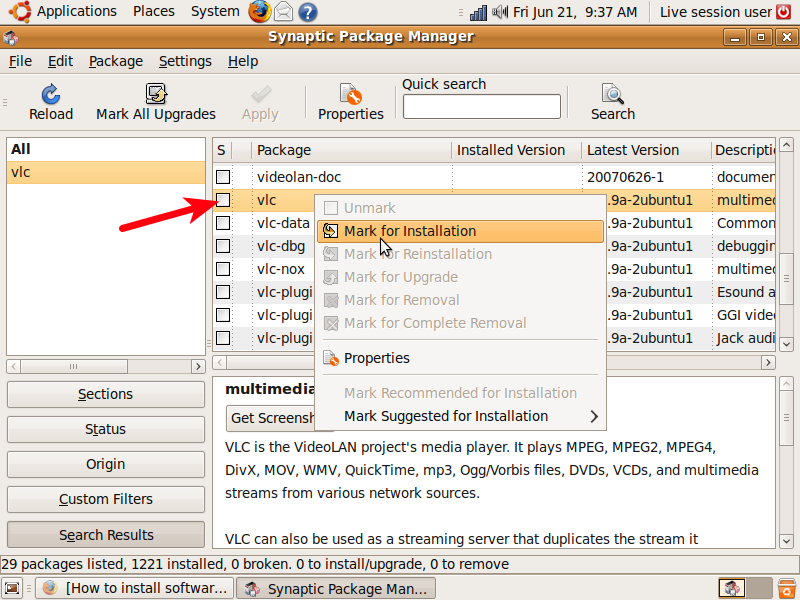 Installing packages to end-of-lifed Ubuntu editions? 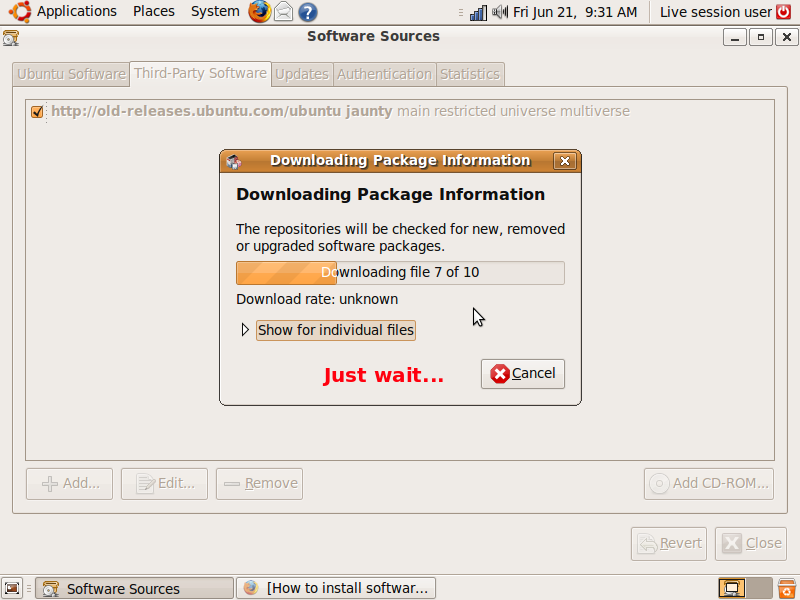 Should I install Ubuntu 14.04 after release? How do I release software on apt-get? 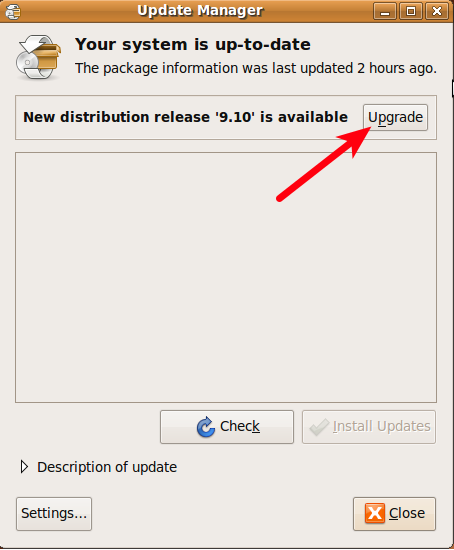 How to trace the origin of how updates make it into my Ubuntu machine?